There are many factors to consider when it comes to success in greyhound racing betting – track conditions, running styles, knowledge of specific tracks, managing your bankroll – but which of these factors outweigh the others in importance? Or is it a combination factors which improves the chances of success? Find out in our ultimate guide to greyhound betting and wager like the pros. Track conditions play a major part in greyhound racing and it’s a good idea to watch the first few races for the day to identify biases before putting any money down. Wet weather often favours wide runners as the inside rail can be a lot more trying, while very cold weather could cause the track to become compacted, favouring inside runners. 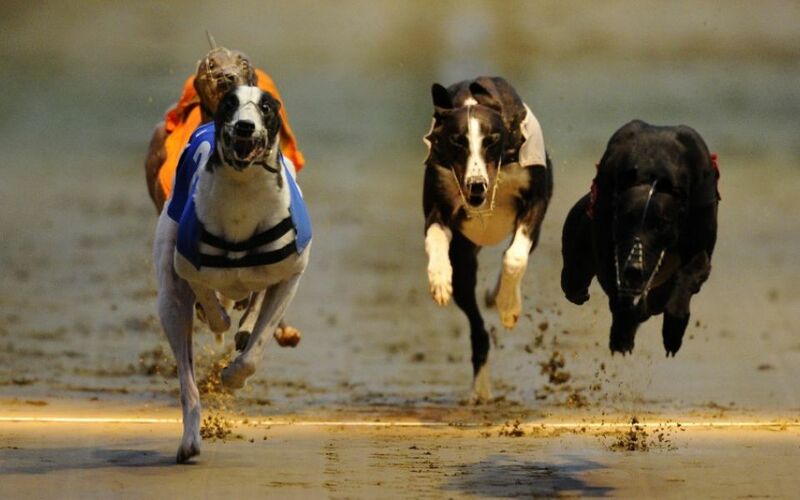 Many racers start with short prices after suffering a bad beat in a prior race and these obviously pacey dogs are generally under-priced as the betting public have witnessed the unlucky defeat and bookmakers follow suit. However, it’s always a good idea to opt for well-drawn racers as opposed to the unlucky losers, as most races are won by the hound that gets the cleanest run. Another piece of underrated, pro advice is to bet on the younger, most inexperienced racers as any hound that has not yet reached 20 runs will still be improving as they race, learning how to trap better, and race the bends more smoothly – much like how newcomers affect AFL betting odds. Young hounds tend to be faster and have more chutzpah than older runners who are well-known to the grader. Race-reading and visualisation is a skill which can only be mastered through experience and watching many hours of races. Calculating what will happen when in a race is critical as most races are decided in the first 20 metres after the traps as it’s particularly difficult to get into a race from behind. However, it’s a good idea to identify a runner who allows the front runners to tire themselves out, only to come through and assert themselves later in the race. Some punters are constantly looking for high-action, adrenaline-fueled betting opportunities, placing bets on every race at every course. This is a dangerous pastime owing to the daily numerous meetings and thanks to online sports betting, accessibility has never been easier. If you’re hoping for long-term greyhound betting success, it’s critical that you specialise in one or two tracks, not just on anything running, and become an expert in them. Correctly identifying run styles can only be achieved by watching plenty of races and taking notes, but this plays an absolutely imperative role in greyhound betting success. For example, the presence of three early paced short-runners will likely lead to a spoiling of the pace, leaving the line open to a late surge by hounds that bide their time and energy. Study the races and good luck!